A poisoned apple and a monkey's paw with the power to change fate; a girl whose extraordinarily long hair causes catastrophe; a man with one human arm and one swan's wing; and a house deep in the forest, constructed of gumdrops and gingerbread, vanilla frosting and boiled sugar. 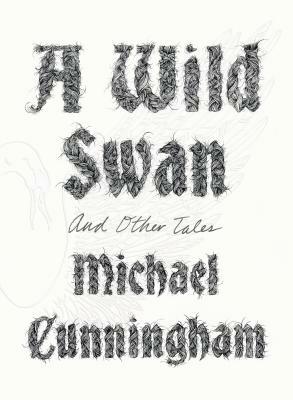 In A Wild Swan and Other Tales, the people and the talismans of lands far, far away—the mythic figures of our childhoods and the source of so much of our wonder—are transformed by Michael Cunningham into stories of sublime revelation. Here are the moments that our fairy tales forgot or deliberately concealed: the years after a spell is broken, the rapturous instant of a miracle unexpectedly realized, or the fate of a prince only half cured of a curse. The Beast stands ahead of you in line at the convenience store, buying smokes and a Slim Jim, his devouring smile aimed at the cashier. A malformed little man with a knack for minor acts of wizardry goes to disastrous lengths to procure a child. A loutish and lazy Jack prefers living in his mother's basement to getting a job, until the day he trades a cow for a handful of magic beans. Reimagined by one of the most gifted storytellers of his generation, and exquisitely illustrated by Yuko Shimizu, rarely have our bedtime stories been this dark, this perverse, or this true. Michael Cunningham is the author of A Home at the End of the World, Flesh and Blood, The Hours (winner of the PEN/Faulkner Award and the Pulitzer Prize), Specimen Days, By Nightfall, The Snow Queen, and A Wild Swan, as well as Land's End: A Walk in Provincetown. He lives in New York. Yuko Shimizu is a Japanese illustrator based in New York, whose work has been featured in Time, Newsweek, The New York Times, and The New Yorker. Her first self-titled monograph was released from Gestalten in 2011; her first children's book illustrations appeared in Barbed Wire Baseball, written by Marissa Moss. Shimizu teaches illustration at the School of Visual Arts.